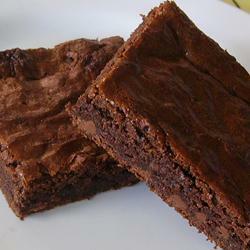 This straightforward brownie recipe is a solid favorite. To Make Frosting (optional): Combine 3 tablespoons softened butter, 3 tablespoons cocoa, honey, 1 teaspoon vanilla extract, and 1 cup confectioners' sugar. Add 1 or 2 tablespoons water for consistency. Stir until smooth. Frost brownies while they are still warm.